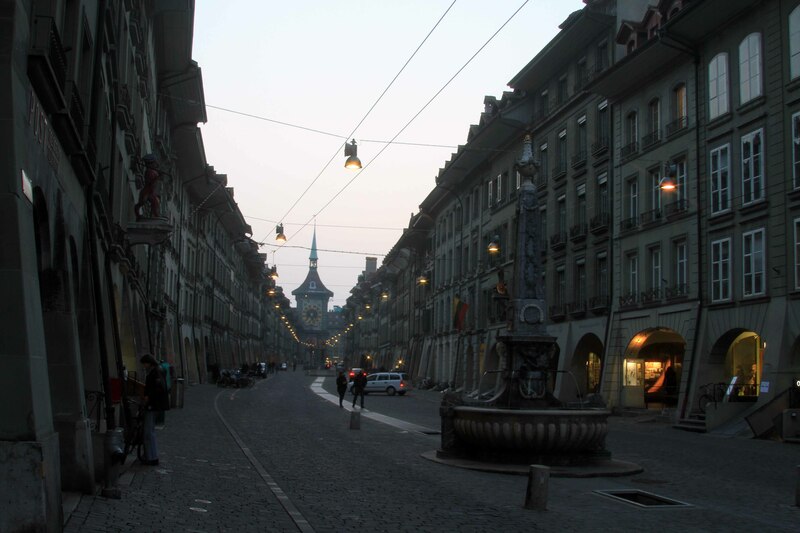 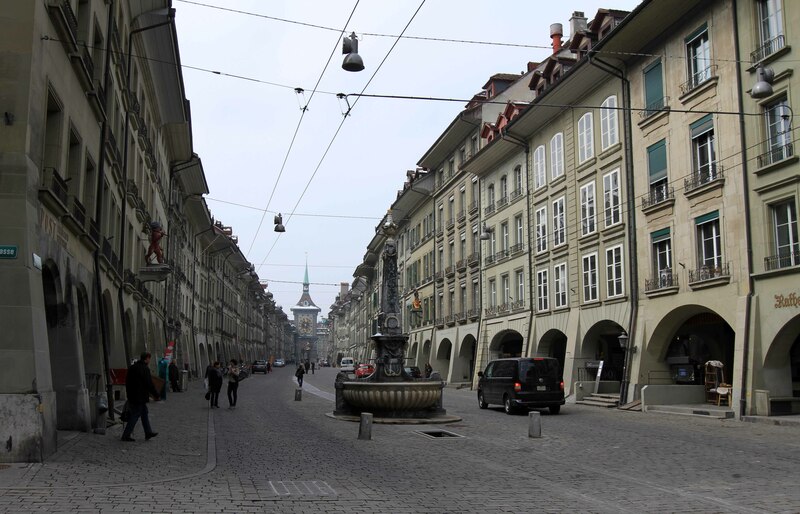 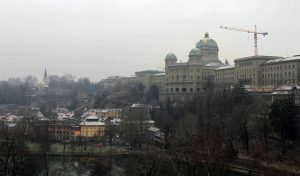 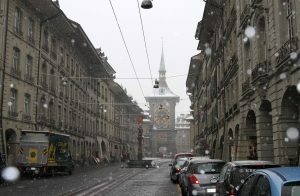 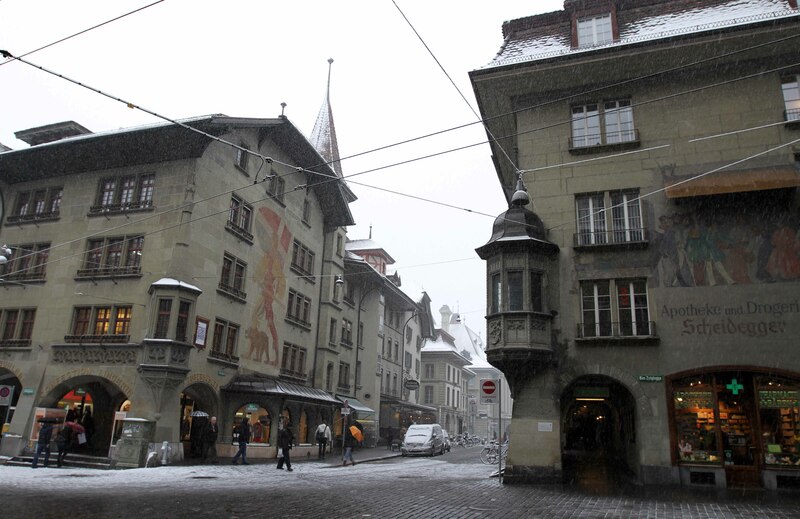 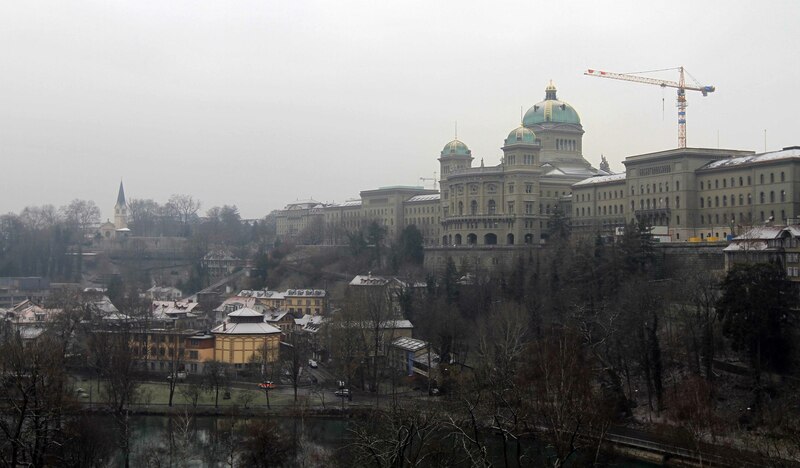 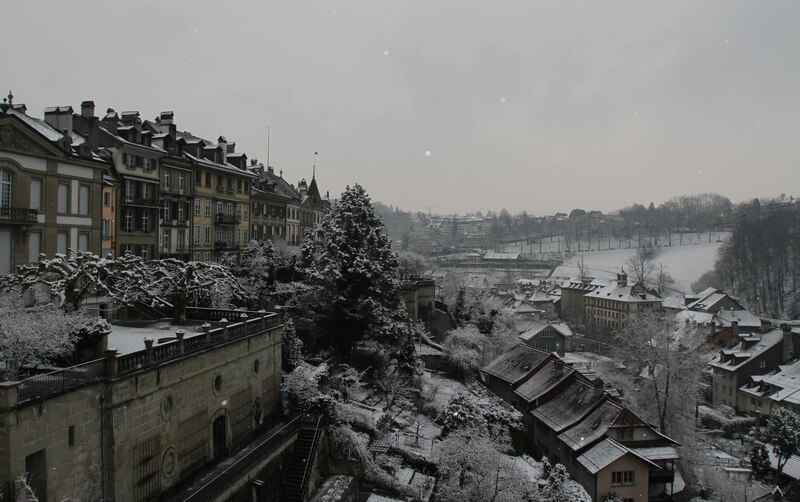 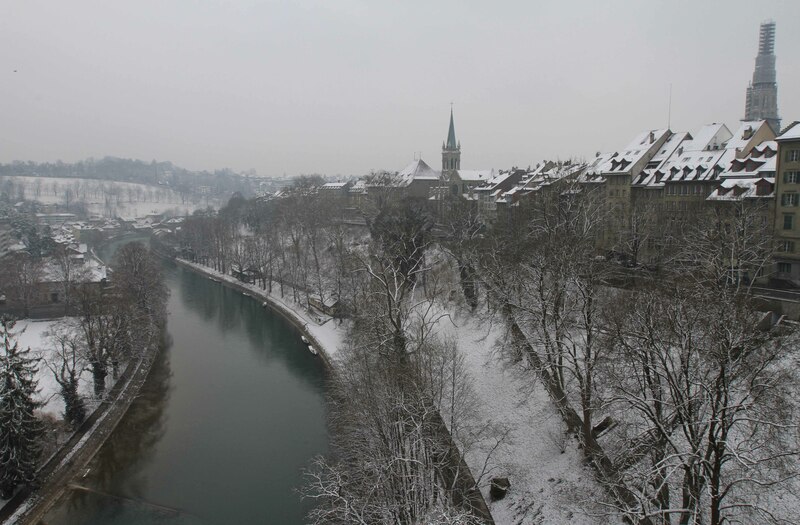 I visited Bern from 26-27 March 2013 (during my second trip to Europe) before continuing on to Thun and then the Swiss Alps; what follows are some of the photographs I took while I was in Bern. 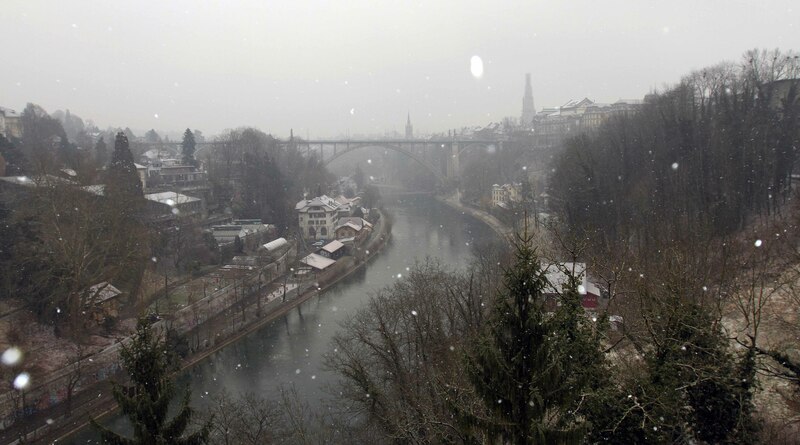 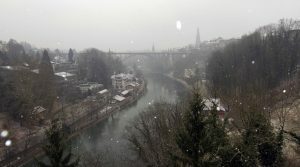 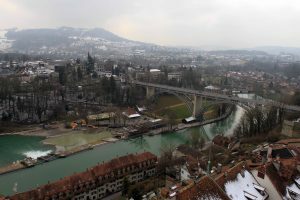 The Aare River and the Kornhausbrücke (bridge) in Bern. The UPU (Universal Postal Union) monument by René De Saint-Marceaux (1909 AD). 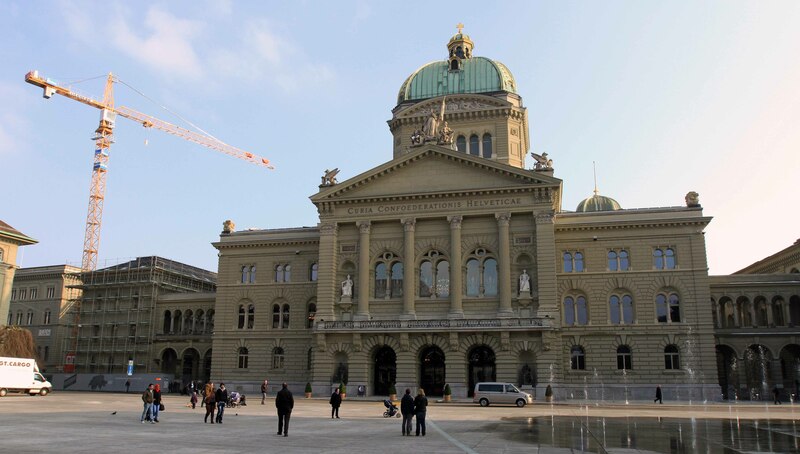 The south side of the Federal Palace of Switzerland. 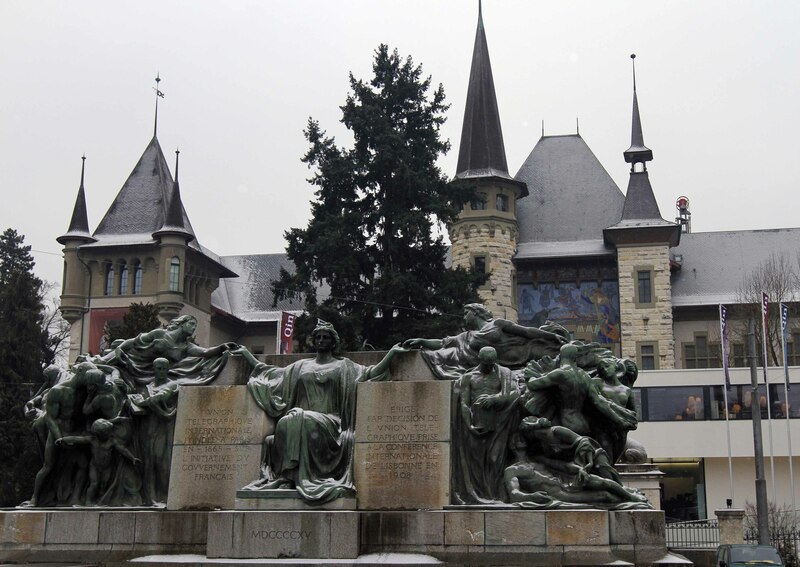 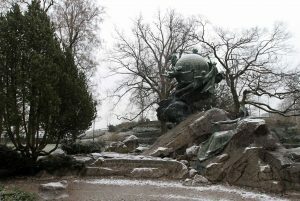 The Welttelegrafen (“World Telegraph”) monument – erected in 1922 AD by a decision of the International Telegraph Union. 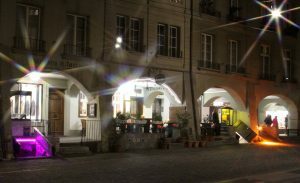 The intersection of Hotelgasse and Kramgasse, next to the Zytglogge. 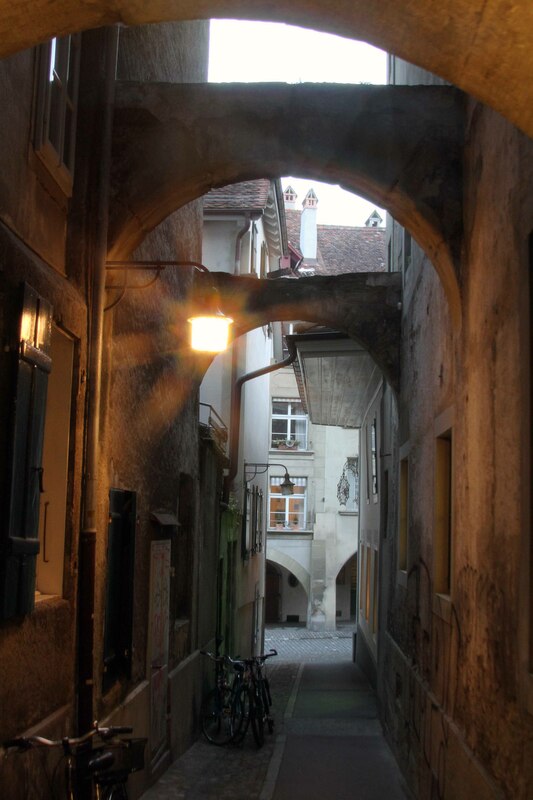 The Zytglogge seen at the end of Kramgasse (gasse means “alley” or “street” in English). 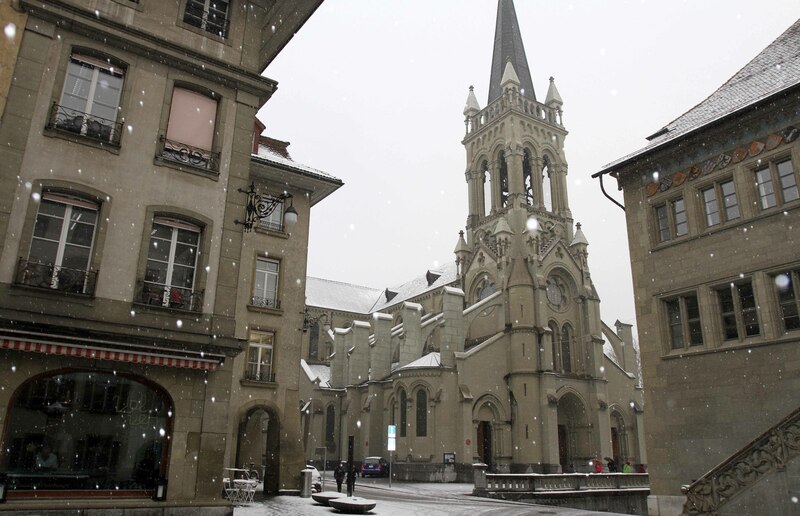 The Church of St. Peter and Paul; built in 1864 AD, it belongs to the Christian Catholic Church of Switzerland. 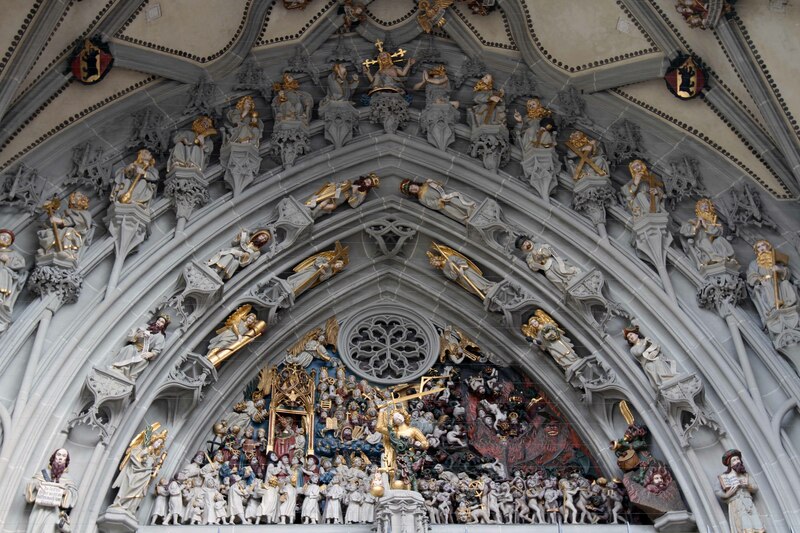 The Cathedral of Bern (a Swiss Reformed Cathedral); construction began in 1421 AD and was finished in 1893 AD. 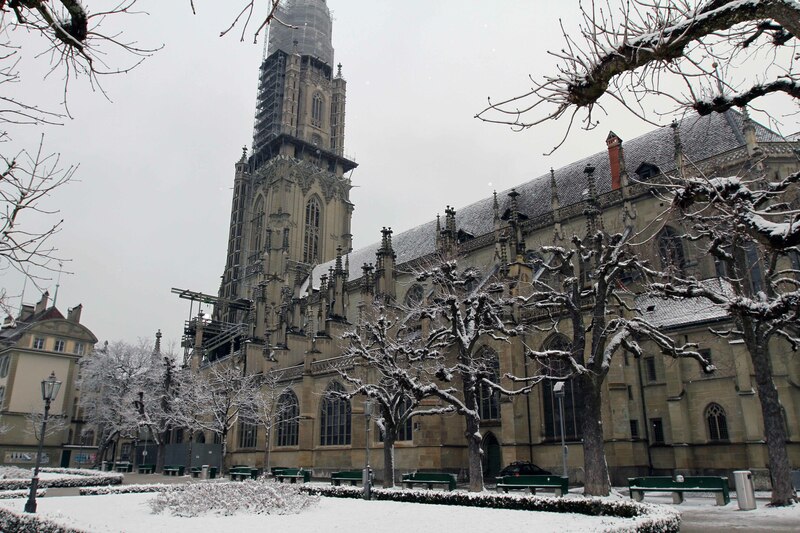 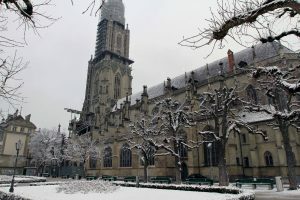 It is the tallest cathedral in Switzerland with a height of 100.6 meters. 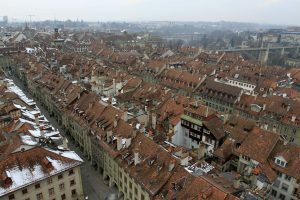 Looking east from the Münsterplattform (“Minster Terrace”) on the south side of the Cathedral of Bern. 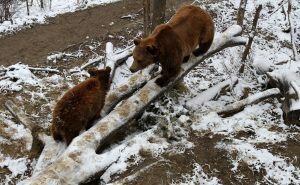 Two Eurasian brown bears in the BärenPark (“Bear Park”). Bern, seen from the Rosengarten (“Rose Garden”). 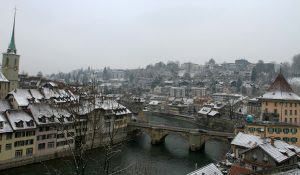 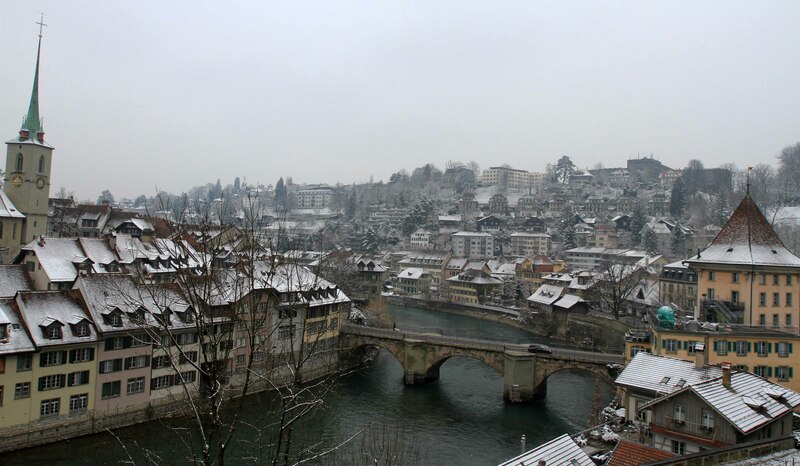 The Untertorbrücke (“Lower Gate Bridge”); built in 1489 AD, it is the oldest of Bern’s Aare bridges. 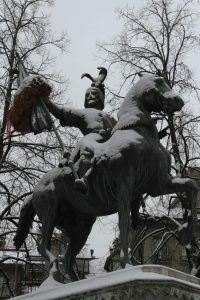 Statue of Rudolf von Erlach (1299-1360 AD), he was a knight and commander of the Swiss Confederation forces at the Battle of Laupen. 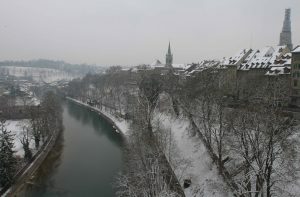 Looking east at the Aare River from Kornhausbrücke. 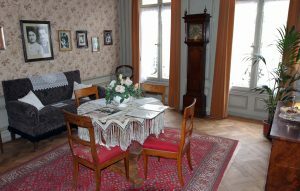 The living room inside the Einsteinhaus (“Einstein House”) – where Albert Einstein and his family lived from 1903 to 1905 AD. 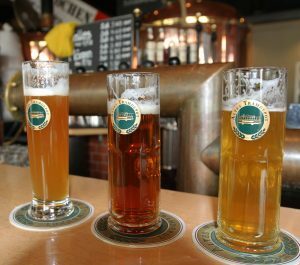 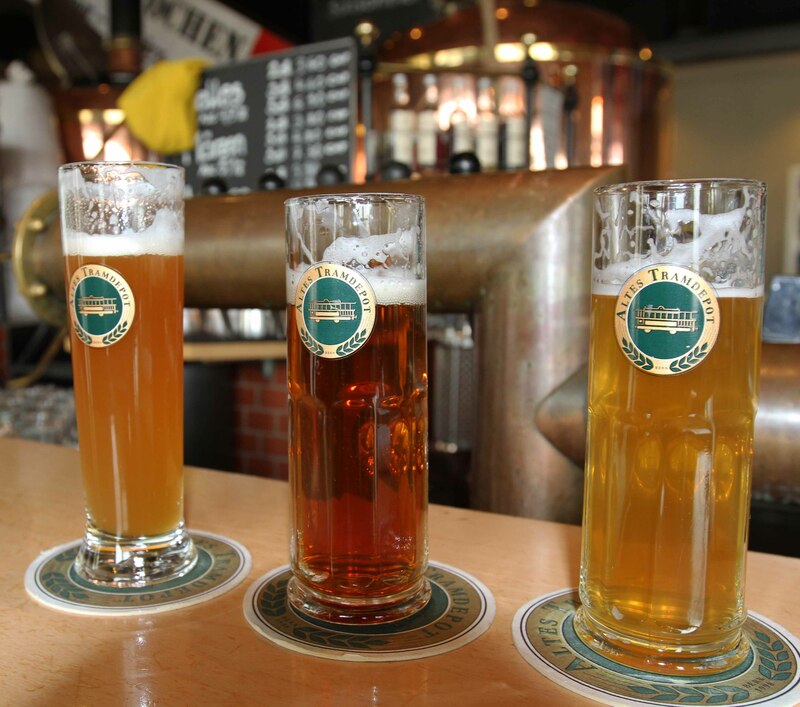 Three beers I had at the Altes Tramdepot Restaurant und Brauerei. 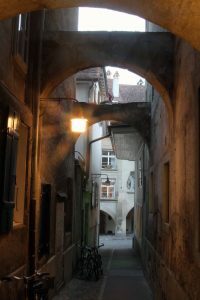 Another view of Kramgasse with the Zytglogge at the end of the street. 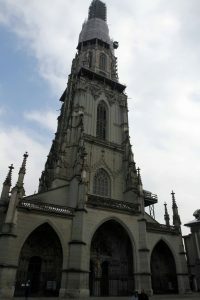 The façade of the Cathedral of Bern with its tall bell tower undergoing renovation. 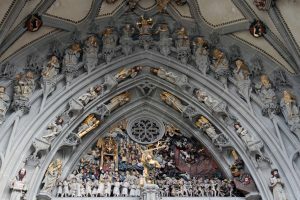 Ornate sculptures over the entrance to the Cathedral of Bern. 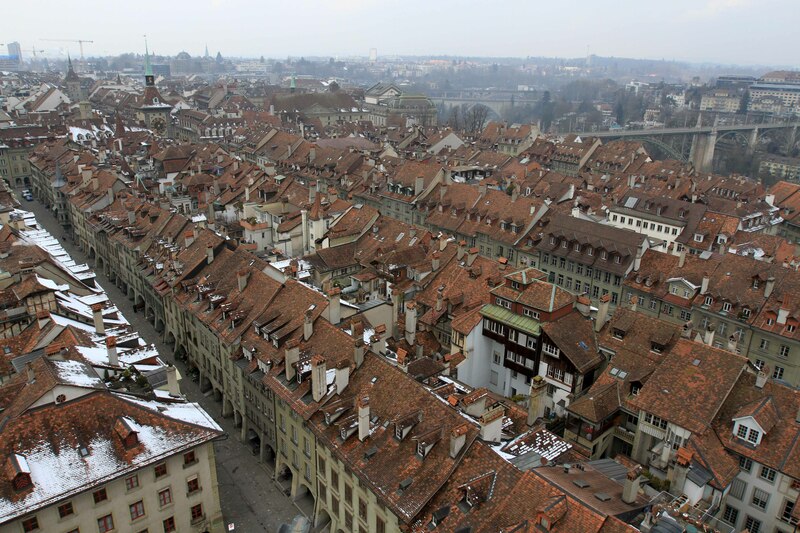 Looking toward the northwest from the Cathedral of Bern’s bell tower. 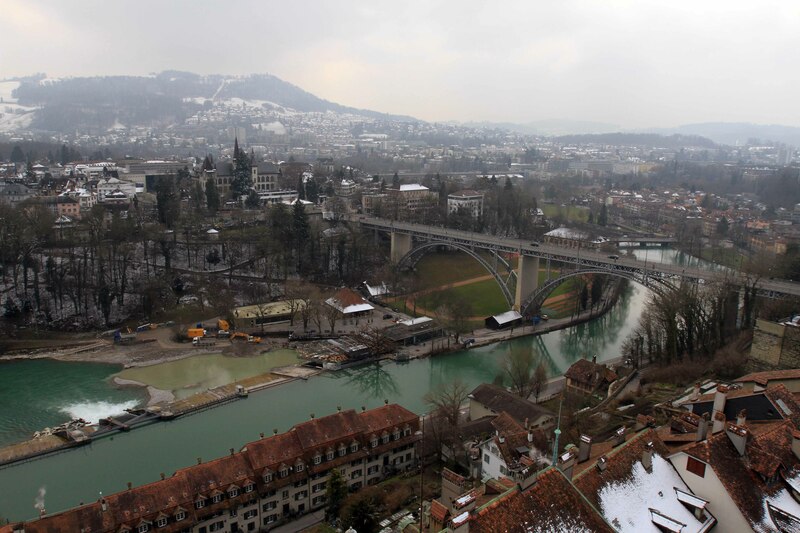 The Aare River and the Kirchenfeldbrücke, seen from the Cathedral of Bern’s bell tower. 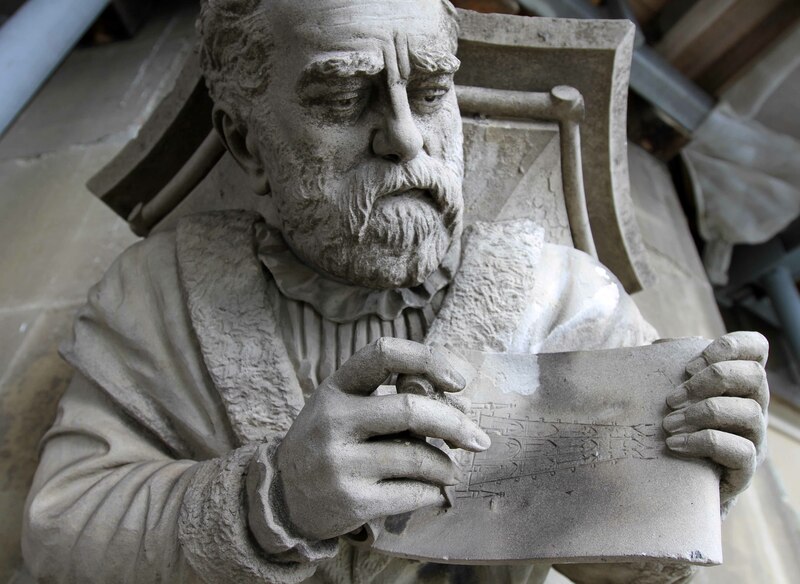 Sculpture of the architect, at the top of bell tower of the Cathedral of Bern. 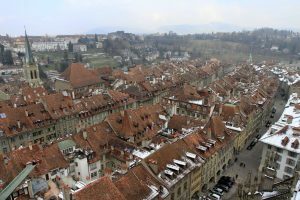 Looking east-northeast from the bell tower of the Cathedral of Bern. The façade of the Federal Palace of Switzerland – where the Swiss Federal Assembly (federal parliament) and the Federal Council are housed. 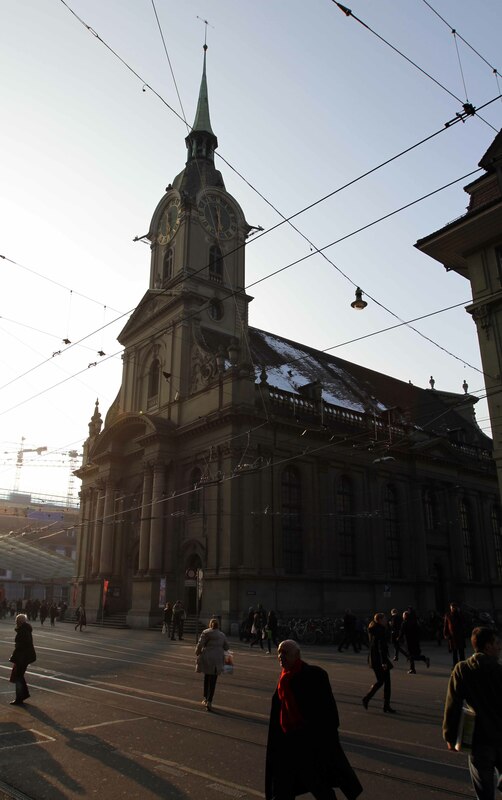 The Church of the Holy Ghost, a Swiss Reformed Church. Cellar doors opened for the underground night clubs on Gerechtigkeitsgasse in Bern.